James Russell Steinhoff was born June 12th, 18561 or 18572 in Middlesex County, Canada3, was a professional baseball player from 1885-1896, as well as a professional baseball umpire from 1897-1898. Steinhoff lived in Little Rock, AR, circa 1883-1895. Steinhoff with the Acid Iron Earth team, 1886. Steinhoff was born near London, Canada, to Elizabeth Uptegrove and Samuel Henry Steinhoff1, a Baptist farmer of German heritage4. He enlisted in the U.S. Army on February 23, 1880 in Chicago, IL3. Later that year, he was stationed at Fort Brown in Brownsville, TX5. However, by 1883, he was living and playing baseball in Little Rock, AR. On February 24th, 1885, he was discharged at Little Rock3. Despite his 5'4" stature3, Steinhoff was a very good baseball player. In July, 1884, Steinhoff travelerd to Memphis, TN, with the amateur Little Rock Browns to play a local team known as the Eckfords6. Steinhoff seemingly impressed the Memphis baseball figures, as did his teammate William Kolley7. Consequently, when the Memphis Reds joined the Southern League in the spring of 1885, both Steinhoff and Kolley were sought out and signed to play with the team8. In forty games with Memphis, however, Steinhoff hit only .120. The following year, Steinhoff was signed by the Acid Iron Earths, a Mobile, AL, team in the small Gulf League9. 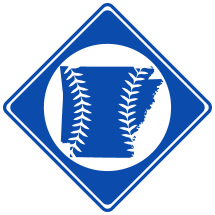 His stay in Mobile, however, was relatively short, for later that year, he returned to Little Rock and played professionally with the independentLittle Rock Base Ball Club. Steinhoff became one of Little Rock's most regular baseball figures, playing with various local teams, including the minor league Little Rock Giants in 1887 and Little Rock Rose Buds in 1894. He was also manager of the Uncle Joes baseball club10, which played the first night game in Little Rock in July, 1894. 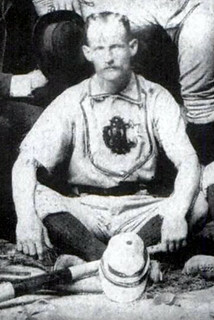 Steinhoff maintained residence in Little Rock until at least 189511 before moving to Texas and playing for various teams in the Texas Association. In 1897, he began umpiring league games and continued to do so for several years. By 1900, Steinhoff was residing in Galveston, TX12 where he spent most of the rest of his live working various jobs. Steinhoff died on June 3rd, 1931 at John Sealy Hospital in Galveston1.